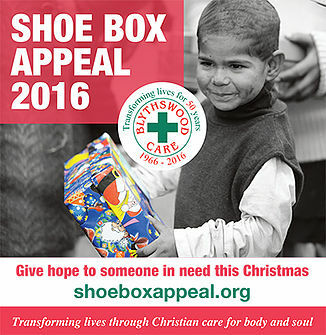 Tabor Church participates in the annual shoebox appeal operated by the Blythswood Trust. You can find out more about this worthwhile cause on their webpage. In 2016 we completed 40 boxes – 20 each for men and women. Below is the list of items we collected.